Does God predestine the lost to hell just as He does some to heaven? Are people helpless in the sense that if they are not chosen, they are doomed to hell? Are we helpless victims of God’s will? For whom He foreknew, or knew of in advance, and before they even existed, He would have them conformed to the image of His Son…that is Jesus Christ. These would be the “first born” among many brethren. This seems to indicate that since these were the first born, many others would follow. This brings meaning to Isaiah 9:7 which says “Of the increase of his government and of peace there will be no end.” This means that the Kingdom of God will, forever and ever, expand and increase and those who are born again in this age will be not only the first born…but the first born of countless other brothers and sisters in Christ. These same ones that are the first born will be “foreknew”, they have been “predestined”, they will be “conformed” (means pressure molded literally) to be like Jesus Christ, and these that have been “called” He will also “justify” and then “glorify.” What an amazing teaching this is from the Bible and it matches completely what is in Ephesians 1: 4, 11, 14; “even as he chose us in him before the foundation of the world, that we should be holy and blameless before him…having been predestined according to the purpose of him who works all things according to the counsel of his will…[and] were sealed with the promised Holy Spirit, who is the guarantee of our inheritance until we acquire possession of it, to the praise of his glory.” So believers were chosen before the foundation of the earth, they were chosen to be blameless and holy in Christ, and chosen according to His will, who then guarantees this inheritance, until we acquire possession of it. We will acquire or take possession of this because God determined that we will. My simple little mind can’t grasp this! It’s almost too incredible. Are People Predestined to Hell? Some believe that predestination does away with free will but how do you explain Jesus saying, “I am the bread of life; whoever comes to me shall not hunger, and whoever believes in me shall never thirst” (John 6:35) and “Let anyone who is thirsty come to me and drink” (John 7:37) and of course the famously known “For God so loved the world, that he gave his only Son, that whoever believes in him should not perish but have eternal life…Whoever believes in him is not condemned, but whoever does not believe is condemned already, because he has not believed in the name of the only Son of God” (John 3:16, 18). These many “whoever comes to me” and “whoever believes in me” makes it clear that people choose Jesus Christ or they choose to reject Him. God is not forcing anyone to choose or sending anyone to hell. People go to hell because they fail to choose to believe in Jesus Christ. That is their freewill choice. God doesn’t force them to choose or to not choose, however God knows exactly who will and who will not choose and has disposed them to do so. I know this is a difficult concept but how can my tiny, finite brain explain the infinite mind of God? How can this be? My answer: I don’t know and who can know the mind of God anyway (Romans 11:33-34, 1 Corinthians 2:16 )? We are not helpless pawns in God’s game of chess. When my wife and I were planning for our second child and we found out she was a girl, we chose to have certain shades, colors, toys, and other accoutrements that are befitting a girl. We bought her dolls and stuffed toys with the knowledge that she would prefer these things. We knew, in advance, that she would likely prefer playing with dolls and not toy trucks. We allowed her to make her own choices as her older brother had trucks still around to play with. She was free to play with them but she preferred having tea parties with her dolls and stuffed toys. We had a good idea she would prefer these but she was free to choose. We didn’t make her play with these things any more than we prevented her from playing with trucks. We didn’t force her but we did know what she would probably like. We were right. Since God is omniscient and knows the future as if it already existed, how much more will God know what we will or won’t do…before we even do it? And He is always right! Let’s break these mind-numbing Scriptures down. First of all, we can’t question the sovereignty of God. He is the Potter and we are the clay. How can the clay question the Potter? We are blessed to even exist as a clay vessel. He did not have to create us in the first place. Is it freewill or predestination? Yes! How’s that for an answer. It is both freewill and predestination. Freewill and predestination are like two parallel lines that run together and never oppose one another. God planned these lines and ensured that they would run the exact pattern that they would but this doesn’t mean that He predestined those to reject Christ or predetermine to send them to hell. They made their own choice. Adam and Eve had freewill to obey or to not obey God in the garden but God knew they would disobey and had prepared a way ahead of time as it says in Revelation 13:8 “And all that dwell upon the earth shall worship him, whose names are not written in the book of life of the Lamb slain from the foundation of the world.” Notice that the Lamb of God, Jesus Christ, was slain from the foundation of the world. What? Yes, He was, in God’s eyes, already slain before Adam and Eve existed because God knew that they would fail to obey. Even though the earth did not exist, Adam and Eve did exist in God’s mind and so did their disobedience. That is why Christ was appointed to die for all of humanity before humanity even existed. His desire is that everyone would repent, confess their sins, and place their trust in Christ (2 Peter 3:9). You are free to choose. Don’t think that you are a helpless victim of God’s predestination or predetermining you to go to hell or to heaven. God never sends anyone to hell. People choose to send themselves there by rejecting Christ. God never forces anyone to hell just as He doesn’t twist anyone’s arm or force anyone into heaven. God told Israel long ago…and He tells us today to choose this day whether you will live or whether you will die eternally. Let God tell you Himself as He did in Deuteronomy 30:19 “I call heaven and earth to witness against you today, that I have set before you life and death, blessing and curse. Therefore choose life, that you and your offspring may live.” The choice is yours. God has not made you to choose or to reject Him. You are free to repent, confess, and trust in Christ or you are free to choose to send yourself to everlasting judgment and eternal separation from God. 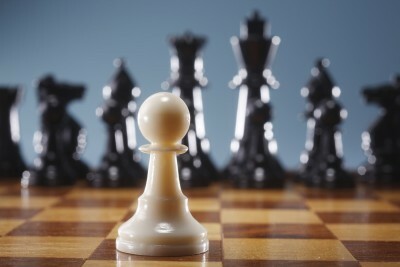 We are not helpless pawns in God’s game of chess. Great Explanation! Thanks this is a blessing and God bless you! Thank you kindly Pat for your comment. As always, it is good to hear from the readers. Great Explanation! May God continue t enrich you with wisdom and unerstanding. I thank you so much for your comments. They are so edifying to me and I am so glad you came to visit us. God bless you Jack Wellman for this insight. I am bless. Thank you so much for your very kind words. I appreciate them. Thank you again for an enlightening and thought-provoking article. I have had a read of the introduction to your book, ‘Blind Chance or Intelligent Design’ on Amazon and it looks like exactly the type of book I need for evangelizing my father, and a couple of others I know that need such clarification (and have openly admitted it). For myself and others around me, I am looking at getting Robert Driskell’s book ‘Spiritual Suicide – The crisis of casual Christianity’… To ensure we keep ourselves on the right track. So a huge thank you once again for your wonderful contributions to God’s work here on earth. If it weren’t for people like you, people like me may be quite lost by now! Hello Nikita. Thank you so much for your very kind words my friend. I believe Robert Driskell, as a fellow writer here and published author, is highly intelligent and his book would most certainly be a great addition to an apologetic approach. Both of our books were made to be very inexpensive so that cost would not be prohibitive and we are not really in it to make money but to expand the Kingdom. I appreciate your kindness Nikita. Thank-You So Much for this article…I don’t read books, so this short piece was interesting. I really liked it 🙂 It reinforces what I have hoped for all along…It’s My Choice! And I Sooooooo Choose Jesus Christ! 🙂 I feel really sorry for people that don’t choose Him…And there are so many lost people out there….it’s really sad! So many young people that don’t know Christ….cause their parents don’t know Christ…Thank-You So Much! Thank you much for your kin words Mrs. Bendele. The problem among those who believe that some are condemned to hell beforehand and others are not, and that we have no free will to believe in Christ is that some say, “Well, since God has already preordained some to hell and some to heaven, why evangelize?” Why share the gospel? Because Jesus told us too (Matt 28:18-20). That is good enough reason for me. All who put their trust in Christ may freely come and do so. Isn’t our God an awesome God. It’s not that there are only some that will be saved but that ANY of us are saved. Thanks Mrs. Bendele for your encouraging words. That’s right Jack, good article. Both are true, free will and predestination. It’s hard to wrap our mind around the ability of God to know the future perfectly. It allows Him to plan absolutely while keeping our free choice intact. He determines that we choose freely. And because He knows what those choices will be does not make them in any sense less free. Wonderful article! But I think it’s a bit too much in the sense that a lot of unbelievers or newly born seeds in Christ will confuse themselves goin through this.The whole summary should be God is the creator of everything he was there before even time existed,its not really our business what the “POTTER” does or the way he “designed” his “vessel” after all,we are the potters creations and by grace we are living.Our work should be to serve him and server him only.We should no be exploring things our little human minds will never fathom.Christianity is a really easy thing,worship our lord in spirit and in truth and believe in Christ.we shouldn’t bother ourselves with things that aren’t necessary. I know Jack wrote this to answer a lot of doubters,the problem is they will still doubt and find a way to squeeze an argument out of this.Well,our job is to preach the gospel needless of what they think,we should even preach It to them,but too many people are too young to know the truth because we don’t want them to have doubt,so we have to eat with Gentiles and Jews just to make them believe. AMEN! You certainly did a fine job with this complex topic. However one reconciles predestination with free will, one thing is clear, we have a responsibility to ‘abide’ in Jesus Christ. Through the grace of God, we have the ability to choose, and to submit to, the Lordship of Jesus Christ. It is my prayer that everyone would choose to follow Him, exercise the ability to love the Lord with all your heart, soul, mind, body, and strength. He is God, to Him be the glory. Thanks again, Jack. Wonderful article. That is so good Robert what you said. I see you have an evangelistic heart beating within you my friend and that is what I try to conclude every article I write. To try and see that there is salvation in none other or any way other than in Jesus Christ. As always brother, I appreciate your encouragement. Good article. Perhaps it might be worth looking at Ezekiel 33 vs 11. The choice it is a bit like light, is it particles or a beam? Can be argued either way. That`s a very profound article Jack. I don`t know how you put it into words,but I understand it. I have been thinking like what you wrote,and like you say how,and when whatever happen`s we havn`t a clue. Before He made us,and the universe I was thinking he wasn`t alone he had Michael,Lucifer,and Gabriel all arch angels and the Cherubs. All I could think of was the word Almighty,and He can do anything which sometimes is beyond me it`s that awesome by just reading some of the things he did in the bible. I was sad when Adam,and Eve evan walked and talked with Him,but they blew it. Then he had to send his only Son down to sacrifice Himself for us. Then I thought why did He not punish us. I was lost off with this, still am. I would have give anything to have walked and talked to God. Well put Jack. I too can not wrap my mind around what was accomplished both at the cross and before we existed. God knew in advance that we would fall and so this makes sense that the Lamb of God was said to be slain before the foundation of the world. Just boggles the finite mind that I have my friend. Thank you sir for your encouragement as you always have done so brother. I thank God for you Anthony. You live up to the meaning of your name for which the Greek name Anthony means – flourishing. Amen to that! I have had thought`s like what you say,and I get frustrated. In fact it sometimes makes me very confused. I always say this when I am thinking what you have wrote. God can make Tulip`s grow on the Sun,and Lilies grow on Mar`s if he want`s and scientist`s can`t figure it out. Thank you brother. I see you have a sense of humor my friend. If God can use a donkey to speak to a false prophet he can use one to speak to Christians (like me)!. God most certainly has a sense of humor because if you’ve ever watched puppy dogs or kittens play, there is no doubt about it. As for the little cartoons, I am not sure which site or picture you meant sir. Anyway, let me know. I thank you sir either way. The little cartoon`s are just below this post of an Apple,Star,and two unknows. You have to move the cartoon of the man to the saxophone to get your post accepted. If you don`t a notice comes up error read the instruction`s below. They have changed now to the letter T,smily mouth,and two other`s. It`s a Captcha which is very unusual using cartoons. Now it say`s drag the Player to the Guitar then it accepts my post. I see now Anthony what you meant by the cartoons. I was not responsible for this as I am only a simple writer here and have wasn’t responsible for this. What this is meant for is to stop auto-spamming comments. Many times a computer automatically goes to websites to post comments but they are actually putting in commercial links to try and see things but we have only the free gift of eternal life in Christ to offer. That is why they are there…to determine if it is actually a person or a program. Make sense sir? Very well written for a Christian. But it still begs the question that every non-Christian (and many believers) are puzzled about. If someone has never heard of Jesus, how can they “choose” to follow Him and thus be saved from hell? How does Rom 1:18-20 fit in? And i realise one must be very careful of context and not attempt to insert something unrelated into a passage to prove a point. I once was asked, “What about the innocent jungle native that has never even heard about Jesus?” My answer, the “innocent Jungle native” doesn’t exist for all have sinned and fallen short of the glory of God (Rom 3:23). I new what they were eventually. It`s called a Captcha,and it`s nearly all done by letter`s and number`s to prove you are a human being. I had to laugh because I have never seen it done with cartoon`s before it`s very unique,and good fun to do it. Now I have to move the sticks to the Drum. So the people are going to hell by their own will? Do Priests are going to hell? but they chose Jesus as they Savior! Why she saw Pope in hell? why you are removing my comments? answer them, specially this one. but I don’t think that Pope was a bad man! Thank you Eric. Angelica Zambrano is deceived. No one can look into hell unless they are there themselves. Only God knows a person’s heart and only God can see all things and who is in hell and who is in heaven. Humans can not. Thank you Eric. I feel sorry for the natives deep in the Brazilian jungle,and the Red Indian. Are they saved before Jesus came down because it does say that Jesus went down into Hell for this very purpose to collect soul`s before His time. Has for Hell I think of it this way say if you were to give ten people a piece of paper and tell them to draw what Hell would would look like. I bet the whole ten would draw a picture of some sort. If I was one of the ten I would leave the paper blank. I have sat and thought of it almost like everyone else,but in the end I can`t imagine it,it`s impossible unless you are there like you say Jack. Great comment sir. I agree that human subjectivity is as varied as the human imagination. Sadly, the one truth is objective but even those who haven’t heard the gospel actually have no excuse my friend. Check out this article to answer that puzzlement. As the Captcha reveals…you beat a beat to a different drummer and that is why I love you so much brother. I just cant understrand a thing, if we are all predestined then the word freedom and freewill becomes meaningless, if everything is predestined then what is the use of evangelisation and all that stuff? why is there a need for so many churches? why should there be volumes and volumes of sermon emphasising goodness and other things? if everything is predestined then there is only one thing to be done by us, STAYING QUIET, no need of missionaries, no need to go to chirch, no need for books and sermons. Millions of christian websites are there, why? what is the use? if people are predestined to go to heaven then why they need encouragement? what is the need of sermons and books? anyway they are going to land up in hell who are predestined for it, if predestination is true then whatsoever we live and polish our surfaces the end is going to be as planned, where is freedom? is there nothing that is done on our own will? even the evil things we do are not our own will because if we are predestined to go to hell then we are forced to do bad… this really doesnt make any sense. Even thought predestination is true, we are told to witness to people anyway because we don’t know who will be or won’t be saved. Why witness? Because Jesus commanded us (Matt 28:18-20. Acts 1:8). Also, God doesn’t predestine people or send them to hell…people have free will and people send themselves there by rejecting Jesus Christ as Lord and Savior and failing to repent. And we are commanded to preach the gospel and pastors are commanded to feed the flock (multiple Scriptures testify to this). Just because it doesn’t make sense doesn’t mean it is not true. Who can wrap their mind around God’s purposes? Not me. We have finite minds…God’s mind is infinite. In God`s great mercy he must have knew that the Brazilian Indian`s and the Red Indian could not know about Jesus. Did Jesus say anything about this. I read your article about the people who have not heard the gospel of Jesus. What about if the shoe was on the other foot,and Jesus did what he had to in Brazil or North America. They worshipped animals or the Sun. Columbus thought he reached the East Indies when he landed on the shores of North America that`s how they became to be called Indian`s. Well God`s right,but he might have mercy on them given the situation. God only know`s. It`s very confusing of God,but who are we to question God`s purposes. I am with you Anthony. Some things my tiny little brain just can not wrap around such things that are far too deep for me but that’s okay….because He is God! If we arent sure about a thing, if our mind refuses to accept beyond the intellect then why beat about the bush? is it not like blind leading the blind? why bring up such an abstruse topic and not only confuse others but also you? This isn’t my article, but I’d like to comment on your comment, if I might. The reason this subject, and the other subjects on this site, is important is that someone is more than likely wrestling with this very concept (predestination). It may be a stumbling block to their faith and, by addressing the subject here, that person may be encouraged in their walk of faith. That is why we do what we do here on this website; for God’s glory, the edification of believers, and as witnesses to unbelievers. Anytime one immerses himself or herself in the study of God’s Word it is a good thing. “Come, let us reason together…,” we read in Isaiah 1:18. Sid, I don’t know if you are a Christian or not (I hope you are). I hope what I’m saying makes sense to you. Anyway, God bless you. Robert, you are always welcome to chime in and I appreciate it sir. You have such biblical wisdom and knowledge that I always covet your comments and thank God for you brother. Thank you Sid….well, would you go up to Jesus and tell Him to His face that since He mentioned hell about 5-6 times more than heaven “Jesus, why did you bring us such an abtuse topic and not only to confuse others but also you?” Jesus taught the eternality and subject of hell as face and so you’re argument is against Him and God alone not me for my source is the Bible. Sorry you may not be able to handle the truth sir. I agree with what Robert has he said Predestination would make me give up. In the article above Freewill is mentioned along side the word Predestination. My freewill is that I believe in God,God the Son,and God the Holy Spirit,and then this word Predestination makes sense. God hasn`t told me or Jesus,and the Holy Spirit. God has left a lot of evidence behind,and Jesus well evan the Roman`s made notes about Jesus,along with Pontius Pilate,and I personally have felt the Holy Spirit quite a lot. God is the potter,and while making a vessel He would toss bit`s away. These bits might have something to do with us. So Jack,and Robert have made me aware of this,and that`s why the posts on this topic are being discussed. In the the end nobody can understand this only God. Now God knows that we are aware of this word Predestination on this sight,and he might smile down on us and say they are starting to get it,and that`s the end of it. God has made know to us this,and that`s where He stops. How can you say; ‘God knows exactly who will and who will not choose and has disposed them to do so’ and then say this. ‘The choice is yours. God has not made you to choose or to reject Him. You are free to repent, confess, and trust in Christ or you are free to choose to send yourself to everlasting judgment and eternal separation from God. We are not helpless pawns in God’s game of chess? Has God then NOT disposed sinners to sin then damned them to hell for that sin? There seems to be something wrong with the predestination theory. How can Christ die for all when the majority are disposed to rejection rather than disposed to acceptance? One of the clearest explanations I’ve read of a mind-blowing topic. Thank you Troy. That is so very kind of you sir. Thank you Jack. One quick question. God hardened Pharaos heart so that he will refuse to let the children of Israel go and God punished Pharao for not letting the Israelites go by killing his first born. According to me God didnt give Pharao a choice because when Pharao wanted to let Israelites go God hardened Pharao’s heart. So then can u say Pharaoh had free will? I dont understand. I dont think God was fair to Pharaoh. what do u think? Thank you for your question. The Bible is written so that we can understand it and uses what is called anthropomorphic language. Pharaoh was not an innocent or godly man. He was a brutal dictator overseeing the terrible abuse and oppression of the Israelites, who likely numbered over 1.5 million people at that time. The Egyptian pharaohs had enslaved the Israelites for 400 years. A previous pharaoh—possibly even the pharaoh in question—ordered that male Israelite babies be killed at birth (Exodus 1:16). The pharaoh God hardened was an evil man, and the nation he ruled agreed with, or at least did not oppose, his evil actions. As a result of Pharaoh’s hard-heartedness, God hardened Pharaoh’s heart even further, allowing for the last few plagues (Exodus 9:12; 10:20, 27). Pharaoh and Egypt had brought these judgments on themselves with 400 years of slavery and mass murder. Since the wages of sin is death (Romans 6:23), and Pharaoh and Egypt had horribly sinned against God, it would have been just if God had completely annihilated Egypt. Therefore, God’s hardening Pharaoh’s heart was not unjust, and His bringing additional plagues against Egypt was not unjust. The plagues, as terrible as they were, actually demonstrate God’s mercy in not completely destroying Egypt, which would have been a perfectly just penalty. Romans 9:17-18 declares, “For the Scripture says to Pharaoh: ‘I raised you up for this very purpose, that I might display my power in you and that my name might be proclaimed in all the earth.’ Therefore God has mercy on whom He wants to have mercy, and He hardens whom He wants to harden.” From a human perspective, it seems wrong for God to harden a person and then punish the person He has hardened. Biblically speaking, however, we have all sinned against God (Romans 3:23), and the just penalty for that sin is death (Romans 6:23). Therefore, God’s hardening and punishing a person is not unjust; it is actually merciful in comparison to what the person deserves. Does this make more sense now Refilwe? Everyone is responsible for their own actions and this includes Pharaoh. “For the foolishness of God is wiser than human wisdom, and the weakness of God is stronger than human strength.” Or how about the sheer absurdity that the Prince of Peace, Jesus Christ himself, was crowned by thorns and tortured and ridiculed in his final days of glory? Truth is stranger than fiction and the Lord definitely works in mysterious ways. Like you quoted, “What mortal can understand the mind of God?” We tend to be a vain species that thinks we know it all, much less can even begin to understand it all. It was interesting how you made the analogy of free will and predestination as being like parallel lines running alongside each other infinitely. I am not a math guy but I remember hearing some math enthusiasts talking about the concept of parallel lines eventually intersecting at the point of infinity; it’s something fun to wonder about anyway. Truly, only God totally understands the great mystery of how such phenomena ultimately come together. To God be the glory! Enjoyed your article very much. Thank you Jonathan. I really struggled in trying to state this as clear as the Bible does but the main point, God alone saves, therefore He receives all glory. Thank you for the encouragement sir. Can you help with this? If what is being presented is true why can’t we chose to not chose. If we are sinners, aren’t we already going to suffer an eternal judgement? And haven’t all sinned? If that’s the case isn’t the grace of God through His predestined will the only way out of that? Thank you Ray…No human alive can figure this out because it is from God and God’s way are unsearchable. We cannot say how this all works out but we know it does. All I know is that whoever repents and trusts in Christ will be saved…all the other things that are highly complicated (to us, but not to God), we must just believe and trust in God’s sovereignty. If you have repented of your sins and turned to Christ, you are saved. That is what I know for sure…and God never predestines someone to hell. They choose hell because they reject Jesus Christ as Lord and Savior. Yes, all sin, but all who trust in Christ are forgiven and here’s how God looks at us after that: 2nd Cor 5:21. Please look up the passages from the old testiment that Paul is referencing in Romans. #1 Those references in context are clearing discussing groups of people, nations. Jacob was used as a stand-in for nation of Israel and Essau for the nation of Edomites. Similiary, Jeremiah was referring to the nation of Israel which was in a state of apostasy at the time. When you read Romans in this context, you realize God is not talking about individual election as many Calvinists claim. Rather, Paul is addressing the election of Israel as a people who were choosen but who, as a people, had not accepted the new Covenant. This is a major theme of this letter. Further, read the passage Paul refers to from Jerimiah. If you do, you will see that God is simply saying that he will make of Israel what he will based on their actions as a nation. It is about free-will and rewards and punishments based on the actions of the nation of Israel. This is no surprise and not at all a mysetery since in the Mosaic covenant, God clearly tells Israel that they will be blessed if they live according to the Law and they will be cursed if the do not remain faithful to God. It is rather simple, but has become complicated by the “exegesis” practiced by Calvinists which always make the bible appear to say what it never actual said. Thank you Paco. God predestines those who will be saved (Eph 1) but there is still freewill or human responsibility for whether they choose or not, but rather than call people Calvinists, we should think of it as those whom God called, He justified, and that’s an amazing thing about God’s grace. Believer’s were chosen before the foundation of the world, but those who willingly reject Jesus still must pay for that rejection in the coming judgment (Rev 20:12-15). I am glad that we are not under the law anymore (Gal 3) but still should live in a way that obeys God’s laws, but not saved by law-keeping. Ephesians 1 and Romans 8, among others, prove that God has predestined those who will be saved. That’s what the Bible actually says Paco. Thank you sir. I’m so frustrated with my husband who is a Calvinist. I’ve done in-depth study on Calvinism and the more I learn the more I come to see that Calvinism IS NOT in line with the bible. I was told by him that I have to submit to his leadership. But what if what he’s demanding we submit our spiritual training to a group that confuse and alter the word of God? Must I submit to his leadership in this? If yes then am I worthy of Christ’s? He says that unless we forsake everyone and everything for Him we will not inherit eternal life. What advice would you give? I believe in free will. My husband believes in a Calvinistic understanding of predestination. I believe we waste far too much time studying those things that will not matter in eternity. Rather, why don’t more churches study how to witness to lost people. Jesus called us to do good for Him and make disciples (Matt 25:35-36; 28:18-20), not study doctrines that do not make a difference to the lost. These types of Bible studies tend to divide rather than unite, as good works do, and we are to do these to Jesus as unto Him (Matt 25:40) and not try to figure out whom and whom God has not called. These come close to wasting time in my opinion. As for submitting, this does not mean you must go to a Bible study if he says so. This husband of yours first duty as a husband is to love His wife as Christ loved the church and it is not very loving to hold over someone’s head, “You must submit to me, your husband.” I will pray for your situation. We are called to make disciples, not learn every single doctrine, and besides, freewill and predestination are those things which are exceedingly hard to figure out and only bring debates~! I find it difficult to understand God’s way of predestining people. Like does He predestine us because he already knew we would chose Christ?Or did he already chose who he would bring to salvation and we are just going about our program? I am with you on this my friend. It is hard to understand God’s way of predestining is true. I don’t think God bases His predestination on our choosing Him but His choosing us (Eph 1). I know its hard to grasp, but God predestines some but we are all still responsible for our actions. All who believe will be saved, but God determined to save. How these are both true is hard to explain because He is God and I am not. Everyone is still responsible for their choices and all can trust in Christ and be saved. Yes that is a worthy attempt on free will and predestination. I will ask a simple question then. So, if i choose God, i get to be with him in heaven when i die and if i don’t choose him then i am eternally separated from him. Obviously, i will choose God because i don’t want to be eternally tormented. Thus in reality, its a free will choice but that sure does not sound like Love. God, the only reason i chose you is for fire insurance but if i truly had no consequence for my actions i would not choose you but just live. I understand he sent his only son and if i reject his son he sends me to hell. Again, love is supposedly has something to do with forgiveness but an eternal consequence for a fleeting vapor of life (us) seems like the opposite of love but i digress. Hello Confused. A person that chooses God only for fire insurance against their actions is not a believer. A believer obeys God because they love God. If you love your child, will you let them do as they please? NO! You will discipline them because you love them. God allows us to make a choice and He sends no one to hell. They openly reject Christ and want nothing to do wih the church because they were never part of the church (1 John 2:19). God would not be just if He did not punish sin that was not forgiven thru Christ. I would rather call it human responsibility instead of free will because that’s more accurte.